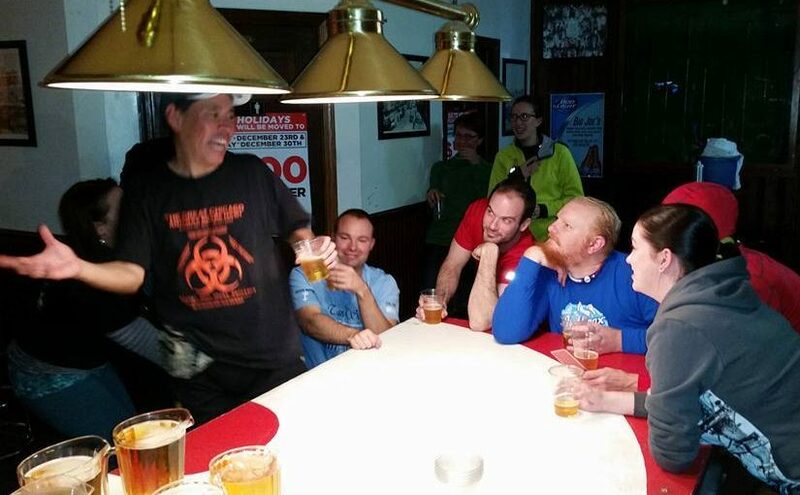 Join the Chicago Hash House Harriers as two of our most historic moments combine into The Perfect Storm of Hashing – the 5th Anniversary of Chicago�s Great Anthrax Scare of 2002 combined with our Historic Run #1469!! 2723 N. Halsted (Halsted & Diversey, just East of the Diversey Brown Line Stop). Price includes Santa Hat for the run, t-shirt (if requested and paid by Nov 30), and four hours of open bar and food at the on-in party. Before October 31: $26 including special 1469/Anthrax commemorative t-shirt; $21 without. November 1- November 30: $31 including t-shirt, $26 without shirt; December 1 � December 15 $31 no t-shirt available. Walk-up December 16 $36. Please mail registrations and make checks payable to Tom Heldmann [Chicken Stiffer, CH3 GM], 644 W. Arlington Pl #2B, Chicago IL 60614. Any questions call Chicken Stiffer @ 312-399-1288 or chickenstiffer@excite.com.